In areas of heavy wear and tear, the high durability meets the performance expectations of heavy footfall. Striking Dreadnought UB features an attractive diagonal, ribbed surface structure which is popular in schools, colleges and universities. 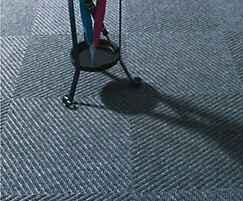 In areas of heavy wear and tear, the high durability meets the performance expectations of heavy footfall.